Over the summer holidays, I had a good think about our Library Llamas Youtube channel. This is something I set up last year, with the aim of connecting our students with books by taking advantage of a format they enjoy i.e. videos. I wanted a way to share my own book knowledge. Not surprisingly, I read quite a lot, and I wanted a way to recommend books to students myself. Having an adult share books is not as exciting as a Llama though, so, spoiler alert, I became "Lucky the Llama". I wanted to improve the regularity with which we upload videos to the channel. In terms of establishing a bigger audience, from what I've read it's important to start uploading on a regular basis, preferably at least once a week. By having a segment that I produce, I can increase the number of videos we upload (although even one video a week can be difficult when I have other work/family commitments). I wanted to broaden the range of students who contribute to the channel. By not having students commit to being in a Library Llamas Book Club, and instead have them agree to make one video with me, I hope to be able to entice a larger number of students to participate in the channel. In order to make it easier to be able to regularly produce the segment, I decided to create a general format for the video, which gets tweaked from week to week. At the start of the video, I have the students tell Lucky a joke. They pick the joke, the only criteria being that they'd have to be comfortable telling it to Mrs Fraser (our acting principal). Then both Lucky and the student talk about a great book that they have read. I try to have some kind of prop that leads into the discussion about the book that Lucky has read. To keep the chat conversational, I don't have the students learn a script. I ask them to think about a joke, and what they want to say about their book, and what they might want to do creatively at the end. What I have found is that I need to go over with them a bit more about what they've decided to say about their book. At the moment they also need help with the creative side, although once I tell them a general idea then they build on that really well. As they watch more of the Lucky's Book Chat videos, and see more of what can be done, I imagine they will have more ideas of their own. I have a half hour slot in which I film, and that means things need to move quite quickly. I do this during class time, and not at morning tea like we did last year, as it means there is much less background noise. Having a different child each week means that the teachers have been happy for me to take them out of class for this, as it is a one-off. I do the filming myself, which means I turn the camera on and then go and hide behind the chair. The problem with this is that I can't see what the students are doing, and I am always scared that I'm not hidden properly behind the chair! It has been working fairly well though. If you like this video then please like and subscribe! Even better, leave a comment if you like the books we discuss. I haven't ranked my favourite books before. In previous years, I've just listed my five star reads in different categories (picture book, fiction, non-fiction etc). One thing I've noticed from putting the covers of the books I've read on my door is that I've had a fair few students ask me to name my top five books I've read, or even worse, my top three! It's hard! But I am up to the challenge, and this year I'm going to be strong and decisive and choose the top 15 books I've read (I can't possibly choose any less than that!). 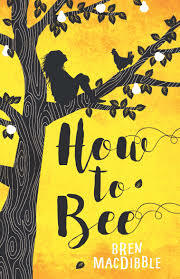 Bren MacDibble won a number of NZ and Australian book awards for her story about a future where real bees are extinct and children must pollinate flowers by hand. It wasn't surprising to find out that Bren had grown up on a farm, as her descriptions of life on one are particularly vivid. 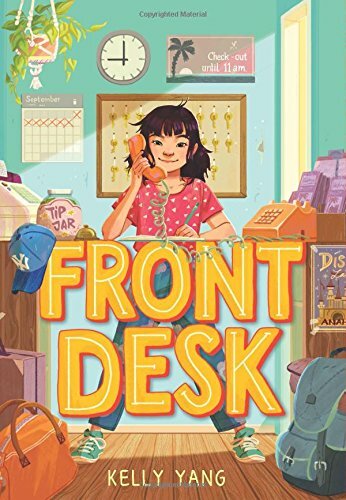 This book isn't all about farms though, as Peony's mother takes her from the home she lives in with her grandfather and sister and brings her to the city to help her earn money. Domestic violence, poverty and agoraphobia are all part of this impactful and compelling book. Cymbeline Igloo has never been swimming but somehow manages to boast that he's a brilliant swimmer just before his first school swimming lesson. He's borrowed a pair of his dad's old swimming togs, and let's just say that size does matter when it comes to togs! This book has an amazing combination of laugh-out-loud humour and heartbreaking sadness. It deals with some big issues - like death and mental health. The nine-year-old protagonist, Cymbeline Igloo, is a lovely character, whose voice shines through as being really authentic. This is a hilarious story about Mabel Jones, who commits "The Deed" and ends up on The Feroshus Maggot (a pirate ship). I listened to the audiobook, which I highly recommend because the narrator, Toby Jones, is marvellous with voices. I love the characters' names, like Omynus Hussh and Captain Idryss Ebenezer Split, and the use of the narrator (who stops in the middle of the action to eat a pickled onion!). 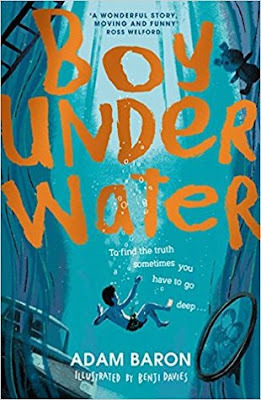 One of our Year 5 & 6 classes read this book and we got to Skype with Will Mabbitt, which was a lot of fun. 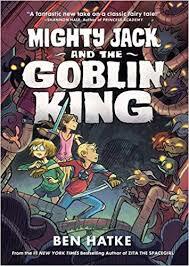 I loved "Mighty Jack" and this sequel is just as fantastic. Ben Hatke, who also wrote the "Zita the Spacegirl" series, is one of my favourite graphic novel author/illustrators. In this book, there's lots of action and drama, with both Jack and Maddy getting to fight the bad guys. The story is interesting, the art is great, and the last page....wow! I can't wait for the next book. This was another book I enjoyed listening to in audio form this year. 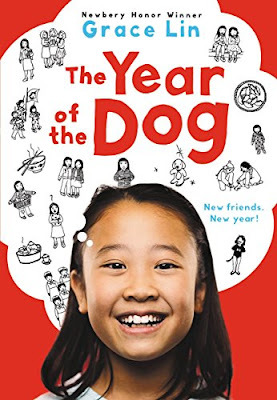 Pacy, also known as Grace, is Taiwanese-American and this book gives a nice glimpse into what everyday life for her is like. I really appreciated this beautifully written insight into the life of someone with a different culture to me. 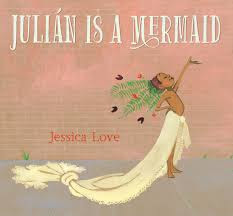 Julián is riding the subway with his grandmother when he sees women dressed up as mermaids. He is captivated and on his return home, he sets about creating his own costume made from a curtain and a fern. It is the grandmother's reaction to Julián's outfit that makes this picture book so heart-warming. The illustrations are also special, with many of the background characters unique and memorable. This is a lovely story about the importance of slowing down and taking the time to appreciate things. Our Year 5 & 6 students loved it, it came runner-up in our Picture Book World Cup. 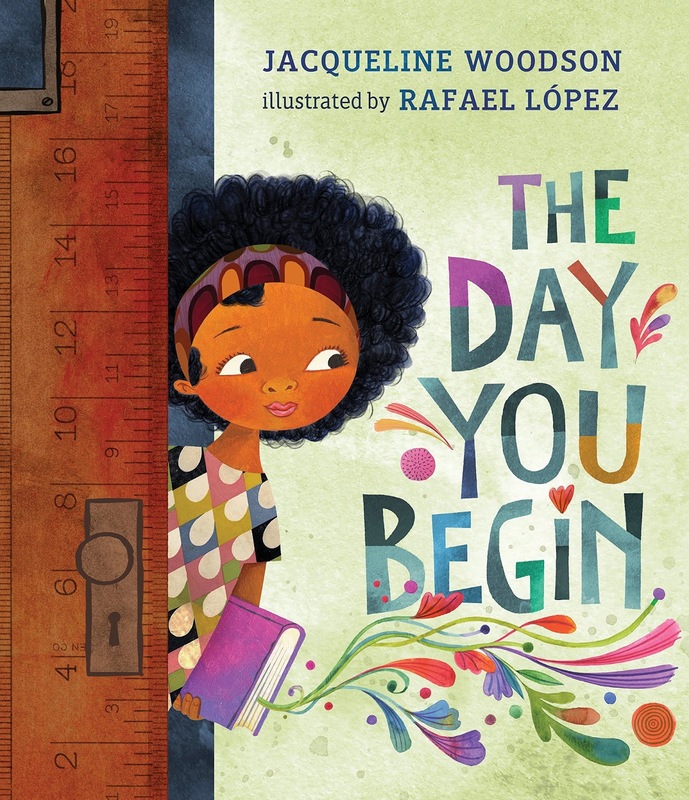 Jacqueline Woodson's poetic text combines with the striking art of Rafael López in this wonderful picture book. It starts with "There will be times when you walk into a room and no one there is quite like you" and goes on to encourage children to share their stories and find friends that are "a little like you - and something else so fabulously not quite like you at all". Beautiful. 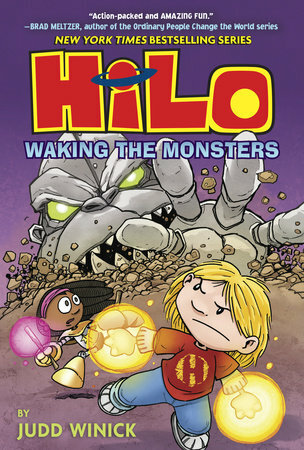 The Hilo series of graphic novels is one of my all-time favourites and this, the fourth book in the series, did not disappoint. The artwork is superb, especially the giant robot monsters that are intent on squashing towns. Izzy's inventions - a tiny, floating rhino that sneezes and keeps bugs away without hurting them, a skunk that makes popcorn, a parrot that sings in Italian, made from a microwave oven - are hilarious. Yet the book doesn't shy away from some more emotional storylines. The backstory about why Razorwark is fighting humans is very poignant. This book is told from the perspective of an oak tree called Red. 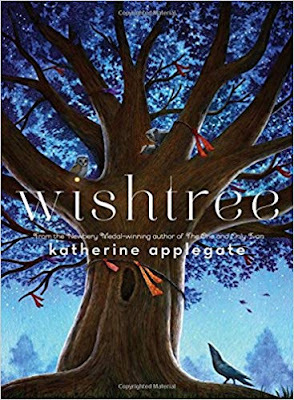 This immediately made me apprehensive, because it didn't sound like the kind of book I'd enjoy (trees can't move, how was this book going to be interesting?). However, I'm a fan of Katherine Applegate's "The One and Only Ivan" so I gave this book a go. I was pleasantly surprised - this book gave me the feels! There are lovely interactions between Red and his friend, a crow called Bongo, as well as the other animals that call Red home. Humans are part of the story too, with the arrival of a new family to Red's neighbourhood making his role as "wishtree" even more important. Add to that the lovely dashes of humour in the book (I love the way the animals name their children!) and this turns out to be a small but perfectly-formed book. 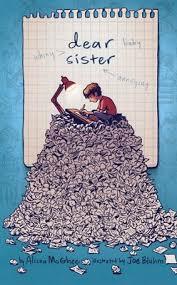 This story is a lovely exploration of a brother/sister relationship when there is a large age gap between them. It is told via a series of letters and messages from the brother to his sister. The book is short and filled with excellent illustrations, making it instantly appealing to students. It is a fun, sweet book that manages to make you go "awwww". Morrigan Crow is cursed, blamed for all the misfortunes of those around her, and due to die at midnight on Eventide. Instead, she is whisked away in a giant metallic spider to a magical city named Nevermoor. There are some wonderful characters in this book, and author Jessica Townsend has done a fantastic job of making the world come alive in your imagination. 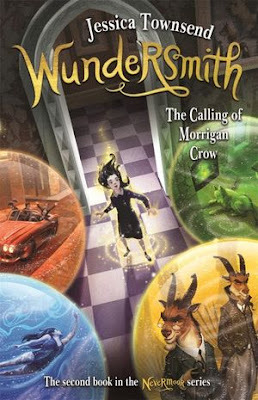 Wundersmith is the second book in the Nevermoor series, and it was, thankfully, just as good as the first. Which is why I have made them both 3rd equal! 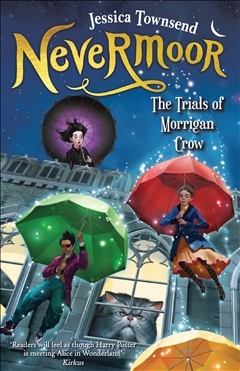 I tried very hard to read Wundersmith slowly so I could remain in Nevermoor as long as possible! Jessica Townsend avoids overly long descriptive passages and yet I could still see Nevermoor really vividly in my mind. I really enjoyed Morrigan's new adventure and now it is on to waiting impatiently for the next one. One of my highlights of 2018 was being able to hear Jessica Townsend speak at Southwell School. I took a carload of students, the first ones who read her book, and as soon as she walked in they went "ohhhhh" and were starstruck. "She's my dream author," said one. Chase falls from a roof, hits his head and loses his memory. When he returns to school he realises that while some kids like him, others appear scared of him, and he doesn't know why. Those two sentences are all that's needed to entice many students to read this book! 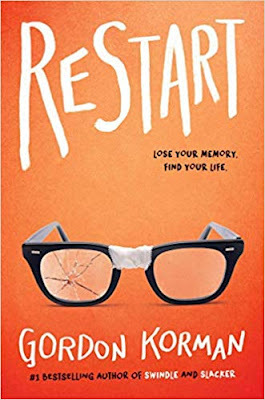 I love that this book is told from multiple perspectives as it really adds insight into the impact of the actions of the bullies in this story. There's some great humour in the book too, making it a lot of fun to read. Mia Tang is a Chinese immigrant to the United States. She lives in a motel and she manages the front desk while her parents clean the rooms. Mia experiences bullying, racism and poverty and both her family and other immigrants in the story are taken advantage of and treated poorly. Despite these circumstances, Mia shows tolerance, hope, perseverance and love. This is an important story that will hopefully encourage children to understand the experiences of new immigrants better and to feel more empathy with them. It's a book that I've been recommending to anyone who will listen! NB: Make sure to get this cover, we got a second copy with a different cover that was far less appealing to our students (we ended up copying this cover and pasting it over the other copy). Last term, we had a Skype visit with author Will Mabbitt. It was the first time we've ever done one, and it was so successful I hope that it won't be the last! If you haven't done a Skype visit before, here's a bit of information on how it came about and what we did. The visit was set up through social media. I had tweeted to Will when his books were in our Picture Book World Cup earlier this year. 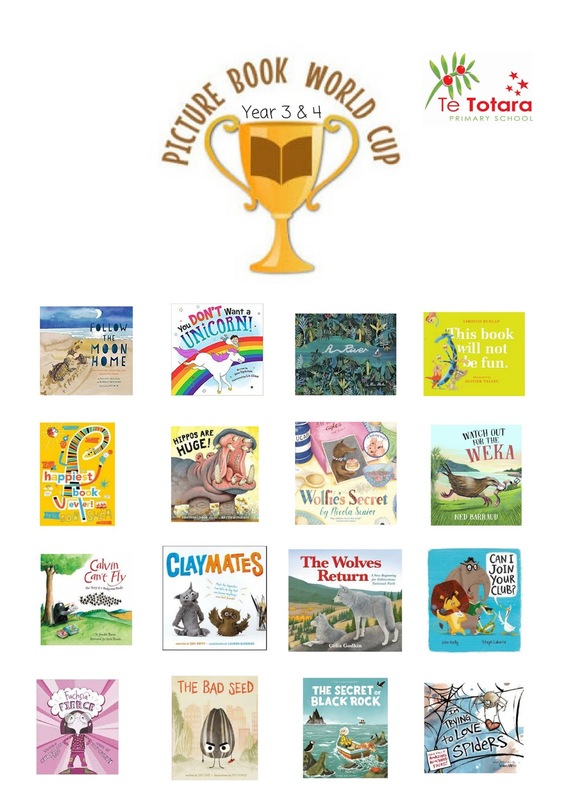 'I Can Only Draw Worms' made it to the semi-finals of the Year 5 & 6 Picture Book World Cup, and 'This is Not a Bedtime Story' (with Fred Blunt illustrating) got to the semi-finals of the Year 1 & 2 Picture Book World Cup. I hadn't heard of Will prior to that, but after both his picture books did so well I tweeted to Will that I was going to seek out his other books. He mentioned that Year 5 & 6 students would like his Mabel Jones series and that he did free Skype visits for schools reading them. 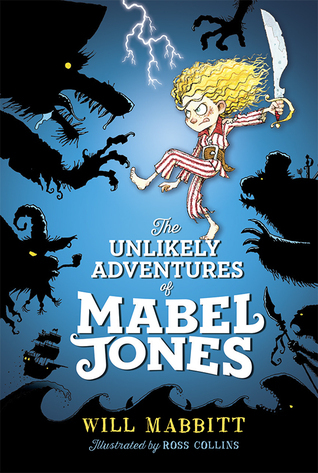 Fortunately, I found an enthusiastic teacher who agreed to read "The Unlikely Adventures of Mabel Jones", which her students loved (I listened to the audiobook version, which is hilarious - Toby Jones, who narrated, does great voices for each of the characters). Once the class had finished the book (and confirmed that they liked it! ), I contacted Will again and we set up a time to Skype with him. He's English so there was a big time difference to contend with. We arranged to start at 9.15am our time, which was 10.15pm for him. I was REALLY careful to get the dates and times right for both of us. It was Tuesday for him and Wednesday for us and I didn't want that to cause any confusion. Will sent me his Skype details and I made sure that Skype was working on my laptop (I tried to Skype with someone outside the school). I'm glad I did as there were some network issues that our I.T. guy had to fix. On the morning of the Skype, before class started, I gave Will a quick call to make sure everything was still working. I won't lie, it was a bit awkward to start with. There's a delay while you wait for a reply and Skype is not my favourite medium of communication. I also had technical problems! Argghhh! I had to reconnect twice before I stopped airplaying to our TV and just used my laptop. It wasn't ideal but at least the connection stopped cutting out. Once we got going, the Skype visit was a huge success. The kids had thought of some good questions to ask, and Will was as funny as his books are. We learned a lot about things like what changes are made when his books are published in different countries, why it's good to be the author AND the illustrator of a book (you get more money!) and why Will writes about pickled onions. Will then read from his picture book "I can only draw worms" and talked about his latest book "The Embassy of the Dead". Afterwards, Rebecca, the class teacher, talked with her class about what they had learned and then shared that learning, and some photos, on Seesaw (our school platform for sharing learning with parents). The kids really enjoyed having Will's book as a class read and then being able to talk with him about it. The following week we happened to have a Scholastic Book Fair in the school and luckily for Will his "Embassy of the Dead" book was available. I had to order in extra copies as it proved to be very popular. There are also still reserves on the library copies of the other two books in the Mabel Jones series. I love this photo - doesn't it look like Will has just worked out he's trapped in a laptop?!! On Twitter recently, I found a link to an old article about authors who Skype with classes and book clubs for free. Given it was written in 2009, I would use this as a starting point and investigate the authors further on their own websites. If you're in NZ and belong to the NZ Book Council, they offer Skype visits as one way of bringing a writer or illustrator to your school. Nothing beats a real live author/illustrator visit but Skype is a great alternative when a personal visit isn't possible. Talking with an author straight after you have read their book is a special experience and definitely worth the effort if the author is willing to give up their time. If I had to choose again, I would try to include more books by New Zealand authors. We have plenty in our library, we just didn't have many new ones I could use. I didn't have themes like Jonathan Emmett did, I think using new books made that too hard. Like Jonathan, I tried to include non-fiction picture books where I could (and the winner of the Year 5 & 6 Picture Book World Cup was a non-fiction book). Here are the instructions I gave our teachers. 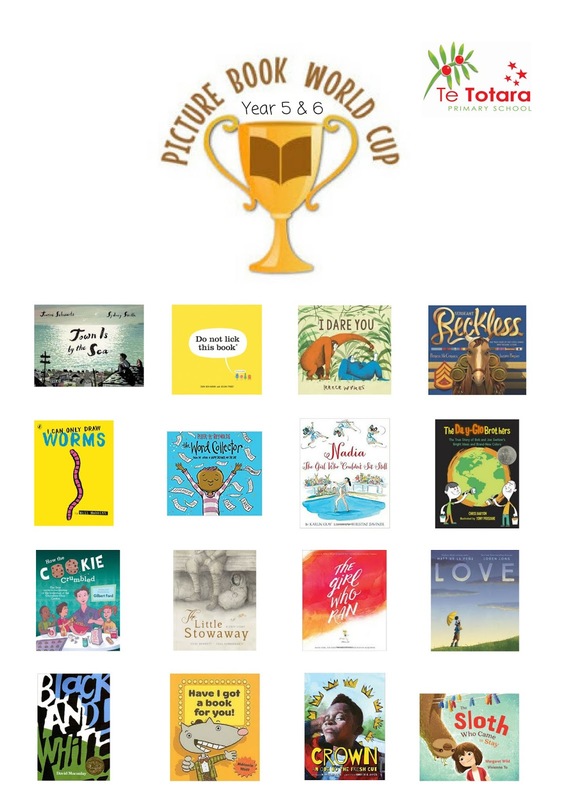 I had to remind teachers that I wanted the votes for each book, not just the overall winner, and there was a bit of confusion around them having to vote twice on the Tuesday. I also had to be careful to track down relieving teachers and explain what they needed to do, and to intercept students who returned books to the library and not my office! 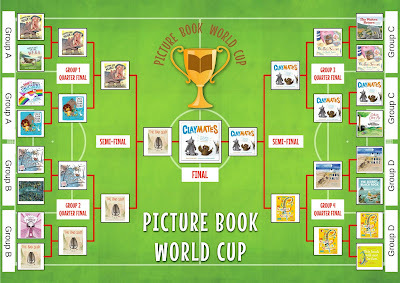 I was lucky that I had backing from senior management, with the understanding that participating in the Picture Book World Cup could be counted as part of the literacy programme for the week. Overall, the week went really smoothly. It was as successful as I'd hoped it would be, culminating in team assemblies which had kids cheering loudly as the two top books battled it out and the final winner was announced. 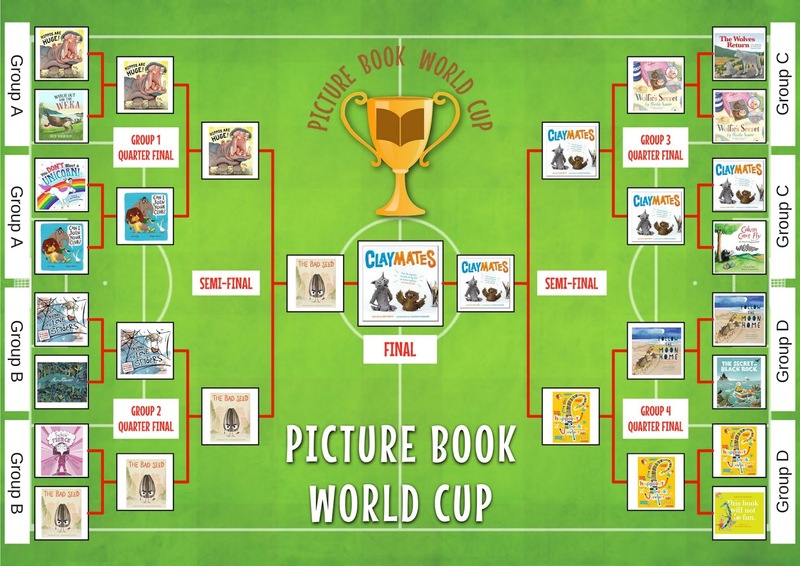 I have had great feedback from students, parents and teachers about how popular the Picture Book World Cup was. It was a really fun event to run and I'd highly recommend it! One of my favourite American bloggers is Travis Jonker, the elementary school librarian who writes 100 Scope Notes. He's done a few posts with autocompleted children's books, where he starts typing the beginning of each line of the book into Google, and lets autocomplete finish them off. I thought it would be fun to do a NZ version of this, using Hairy Maclary from Donaldson's Dairy by Lynley Dodd. The autocompleted parts are in bold. to the forest of firefly lights. I really want to know what you could do with a stick, a waiter and a how to book! When I checked these autocompletes on other devices they weren't always the same...interesting. Thanks for the idea Travis, I had a lot of fun! When we held our Teachers' Reading Groups last year, I was disappointed by some of the results from surveys we did in the participants' classrooms, in particular the percentages of children who weren't being read to by their parents. I wanted a way to gently promote the importance of reading to our children, even when they are old enough to read to themselves. So the theme for our Book Week this year is "Sharing Stories". 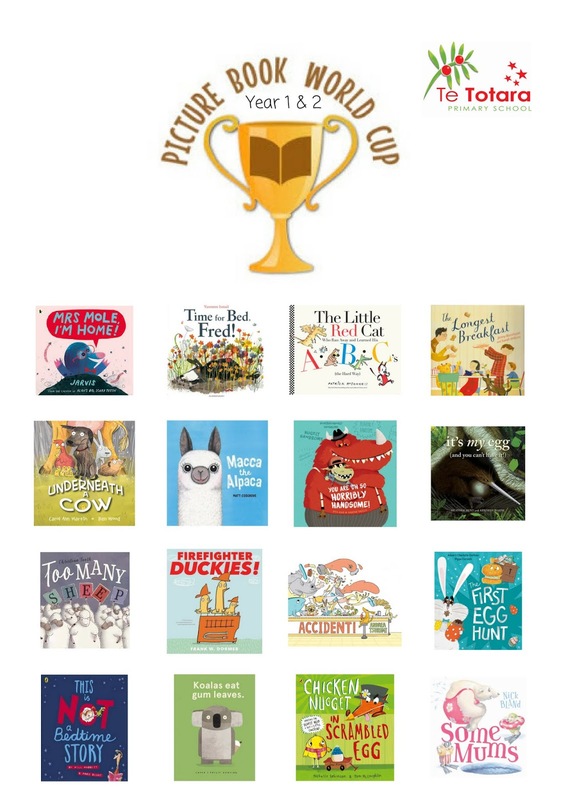 A while back I saw a post on Twitter about a Picture Book World Cup and I've been keen to try it ever since. Author Jonathan Emmett describes it fully here, but basically it is a knockout competition where books are paired against each other and students vote on the ones they like the best. Jonathan is a Patron of Reading and he ran a Picture Book World Cup at his patron school. What got me hooked is his description of the special assembly to announce the winner - "Both books had enthusiastic supporters who broke out into excited cheering whenever their book pulled ahead". Wouldn't that be fantastic?! To have a school so excited about books they start cheering about them? 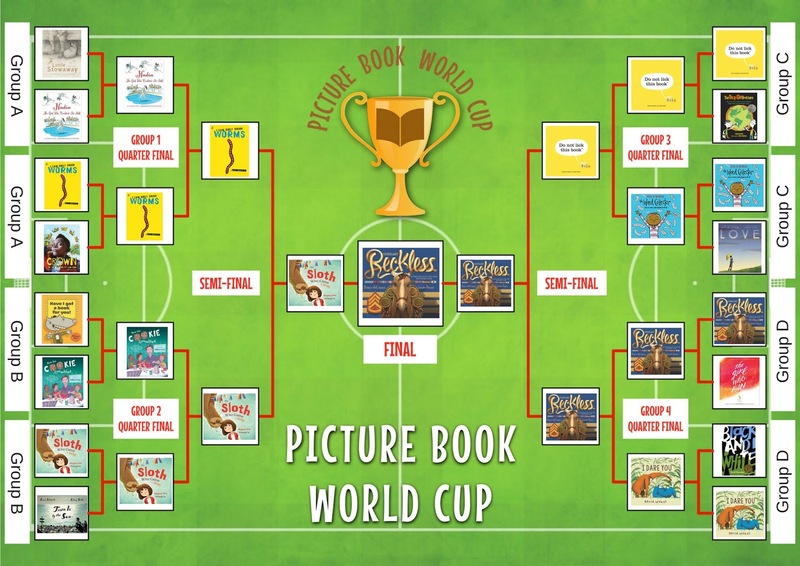 To make it manageable at our large school, we are going to run three Picture Book World Cups, one each for our Year 0-2, Year 3-4 and Year 5-6 classes. This will also allow me to give the Year 5 & 6 students some sophisticated picture books. 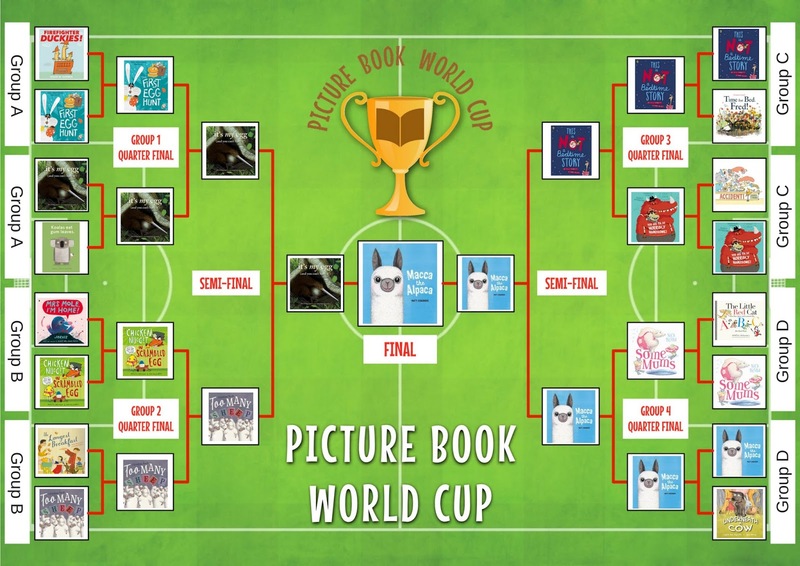 The Picture Book World Cup takes place over the course of a week, and will be one of the big events for our Book Week. Our PTA had tentatively proposed a Spellathon for next term, but happily they have agreed to change this to a Readathon. I think this will fit nicely with our theme of Sharing Stories, as it will be a good way to encourage students and parents to read together at home. I did a bit of research about how this works for the PTA, but it will be their job to run it. The way that I liked best is to organise it by a minimum amount of reading per day. After the student has met the minimum amount, any more reading that day does not count toward the sponsorship. This encourages regular reading, not just one big session, and it also means that sponsors have an idea about what the maximum amount of their sponsorship will be. I have heard of students being sponsored by the amount of books they read, but I have concerns that doing it that way would incentivise reading smaller, easier books as fast as you can, rather than enjoying reading any story, however large or small, at whatever pace suits you. Earlier this month, I co-presented a workshop with the amazing teacher/librarian Steph Ellis. She introduced me to the idea of Book Basketball Deathmatch. Teams of five are given ten points each and in turns they have to answer book-related questions. If they get the question right, one person from a team takes a shot at a basketball net. If they sink the shot, they get to nominate a team to take points off. Once a team has lost all of its points they are out of the game. Given our presentation was titled "Libraries Just Wanna Have Fun", we thought it would be a good excuse to test the game out on our unsuspecting audience. It was a bit of a gamble with around 50 in our audience, but with a few adjustments (we overestimated our collective throwing abilities and need to bring our "net" in closer! ), we could see that it was as much fun as we'd thought it might be. We didn't finish a whole game, but there was still time for rivalries to form between Team 2 and Team 5! All it took was one team choosing to deduct points from the other and the war was on! It looked like having ten points each might make the game take quite a long time to play, I might try five points each for our school version. We didn't have a basketball net, so our net was just an empty rubbish bin. I'm wondering whether I should combine a staff version of Book Basketball Death Match with our next Teachers' Reading Group session. It would be a lot of fun and they would get an idea of how to run it. I think we'll have to rename this for our younger audience, it will probably be Book Basketball Survivor. Dawn McMillan, our Patron of Reading, is coming on the Friday and will speak with our Year 3 & 4 students. Illustrator Ross Kinnaird, who illustrates a lot of Dawn's books ,is also attending on the Friday and will be working with our Year 5 & 6 students. 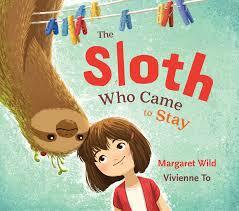 Finally, we also have author Angie Belcher coming in earlier in the week to talk with our Year 1 & 2 students. That might seem like a lot of authors/illustrators, but it is still 10-12 classes each for them. I'll be offering a couple of suggestions to the teachers for creating art for, or during, Book Week. There is "door wars", where classes decorate their classroom doors using a book as inspiration. Or students could draw their favourite book's cover and write a couple of sentences about why they like it. Or instead of a couple of sentences they could give a three word review, (another idea that Steph Ellis talked about in our presentation). When I was in London last year, I got to attend a workshop by author Atinuke (I love her Anna Hibiscus and No.1 Car Spotter books). During the workshop, Atinuke told a traditional story. There was no book, just her telling the story from memory. I was completely enthralled and realised it had been a long, long time since I had heard a story in this way. I was keen to have some of our older students tell stories to our younger students during Book Week. Fortunately this ties in with our oral literacy curriculum, and one of our teachers is working on this with her students for me. Then a couple of weeks ago I had a chance conversation with another teacher, who was telling me that her students were enjoying learning poetry and performing it. Excellent, some more student entertainers for Book Week! I love that this will be a different aspect of stories and poetry that we can share. 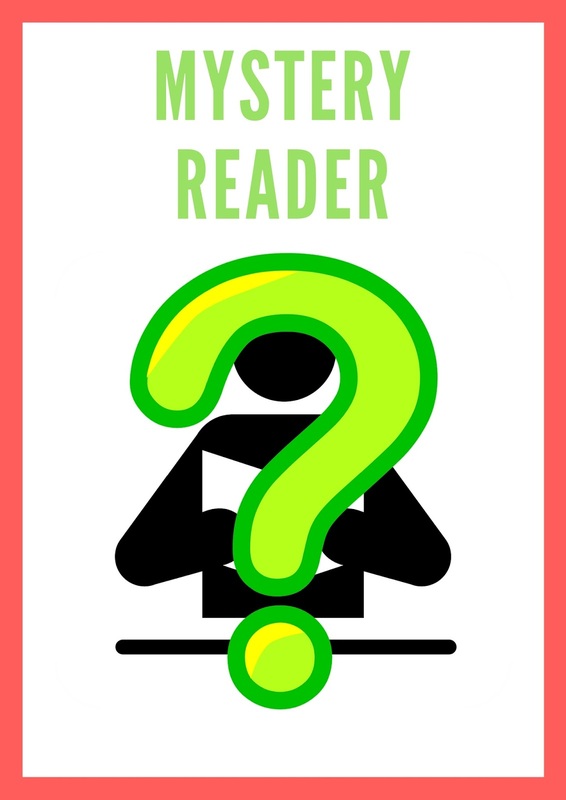 We've done Mystery Readers in the past and they were popular. They suit the Sharing Stories theme perfectly so we'll be doing it again on the last two days of Book Week. On the first day we'll have a staff swap (including senior management and support staff). On the second day I hope that Dawn McMillan and Ross Kinnaird will join in, as well as parents, who could share a favourite book from their childhood, and/or one from a different culture. On our final day we will have "The Big Read". I am hoping that we can encourage families to come in and celebrate reading with their children. I am thinking that it would be nice if Dawn and Ross could take the opportunity to talk about encouraging reading for pleasure with parents in a special assembly. I'll have to look into that. 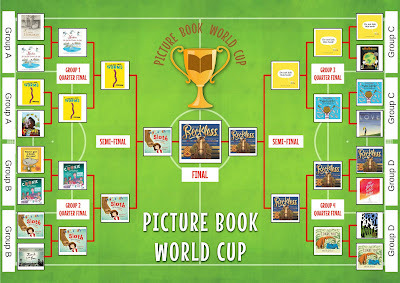 We will have the announcements of the Picture Book World Cup winners, and student/parent sessions from Dawn and Ross. Students will be able to come in their pyjamas, with their favourite soft toys. I'll bring in lots of blankets and pillows and we can all lounge around in the library! I'm not sure exactly how the morning will look for parents attending, I'm hoping to get some help with that from our teams. I have been invited to attend a staff meeting in a couple of weeks to talk about Book Week and our plans for it. The following day Dawn McMillan is coming for her first visit as Patron, and I'll go over our Book Week plans with her then. The week after that I plan on attending a PTA meeting to help with the Readathon. And then it's the holidays, and all of a sudden Term 2, Week 3 doesn't seem so far away! Isn't that always the case? !